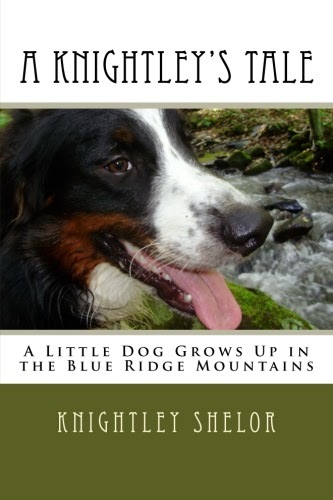 At the Top of Squirrel Spur: New at Greenberry House! If you want to feel surrounded by wonderful color, follow the photo link and find the larger version of this! 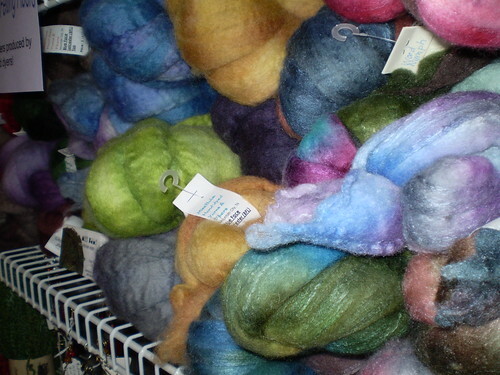 Miss Babs sent a wonderful bundle of her glorious hand-dyed wool and silk by way of Jane yesterday. This stuff is marvelous and you would not believe how soft, soft, soft it all is. I'd love to crawl up in the shelf and sleep in it! We had a wonderful visit yesterday, Jane and I, despite the fact that I wasn't exactly feeling wonderful. Too much fog inside my head and out. 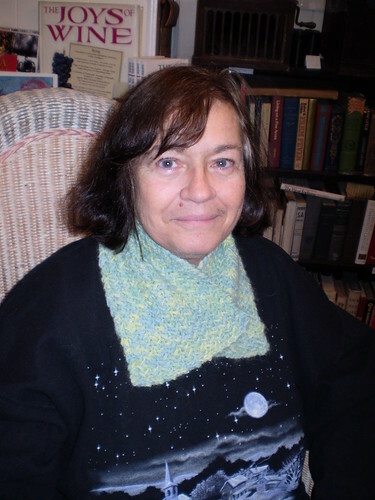 She brought along a lovely neckwarmer she made for her mother, in a beautiful knitted pattern. The yarn is from Atlantic Breeze Alpacas and we dyed it at a mini-dye day at the farm. it was fun painting the yarn while the alpacas watched us so curiously! Tomorrow night I'm going down to Stuart (hope it's not foggy) and demonstrate spinning at the Patrick County Music Association show. I've been invited because of my work with the Patrick County Tourism Advisory Council, so I'll be talking about Meadows of Dan and all the things that there are to do up "on the mountain" during the year. Brother Sammy Shelor will be there performing with "friends" and some other awesome local bands will be there. Headliners are Kenny and Amanda Smith Band. Come out if you can!